It is found in cats. - It has flu like symptoms. - The flu can rarely be fatal. - Treatment is only recommended for people with serious health problems or weak immune system. 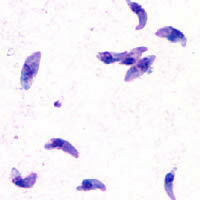 - Medications are prescribed for acute toxoplasmosis. - Different type of medications are prescribed for latent toxoplasmosis.